This is a chance for the New England Parking Council and its' supporters to give back to our community. Each year, NEPC selects a charity that will benefit from the proceeds of the golf tournament. Please consider sponsoring, playing or just coming to the after dinner and show your support for this year’s charity. 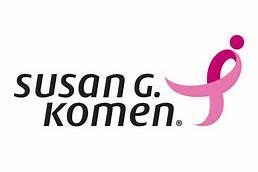 Everyone's lives have been or will be effected by breast cancer so this year, we are counting on your financial support to help NEPC donate our charitable efforts to the Susan G Komen Foundation. The Foundation's mission is to save lives by meeting the most critical needs in our communities and investing in breakthrough research to prevent and cure breast cancer. This is a mission NEPC and we hope you will get behind. Please register to either play golf or sponsor today!